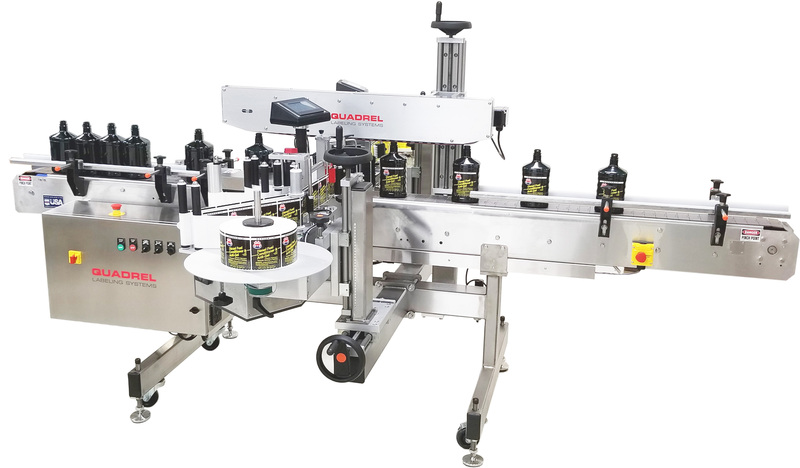 Quadrel’s EconoLine is a full-featured labeling system designed for the needs of small, growing companies requiring rugged reliability at a modest price. Quadrel Labeling System’s NEW EconoLine is Quadrel’s first completely non-proprietary EconoLine System. This EconoLine system now features PLC control and color touchscreen operator interface. Available in front/back/wrap and custom configurations, all EconoLine systems feature corrosion resistant stainless steel construction, AC frequency driven product handling, velocity compensation, and touch screen operator interface. 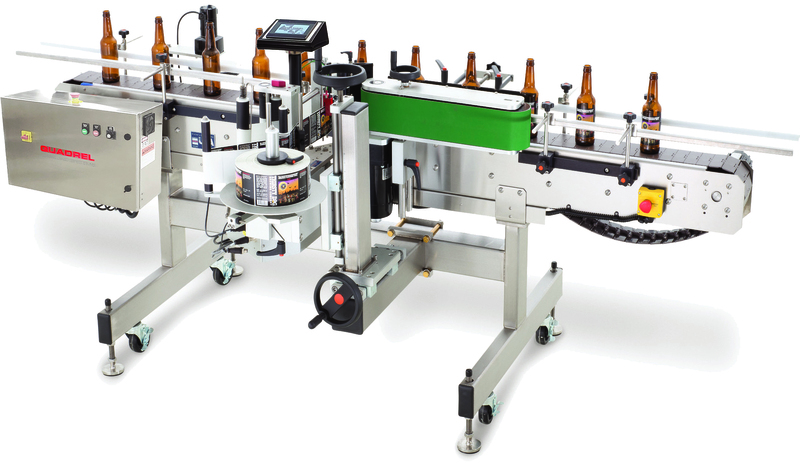 This economically priced, front/back labeling system is simple to set-up, operate and maintain. Features include stainless steel construction, PLC control and color touchscreen operator interface. Production rates up to 150 products per minute are possible depending on the product size.